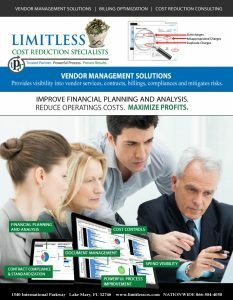 Skilled Nursing Facility "LIMITLESS expert auditors obtained a $40,000 credit from one of our cable providers ..."
Cascade Health Services, LLC recently enlisted the assistance of LIMITLESS to audit and reduce telecommunication costs. Cascade Health Services, LLC owns and manages five skilled nursing facilities across Texas. Keeping management costs minimal yet effective helps maintain the integrity of our organization. That is why we relied on LT-CRS, an organization with a reputation for streamlining service needs in a collaborative and concise manner. Limitless Technology professionals simplified the process. We were extremely pleased with the little time and effort required from our staff during the audit. Their expertise in uncovering billing errors, negotiating our current contracts and renegotiating new contracts has led to reductions on our cable, internet, land line telephone and wireless telephones costs which exceeded our expectations. We were particularly impressed when they uncovered and obtained a credit of nearly $40,000.00 from one of our cable providers, something we simply had no idea was possible. When we entered into our agreement with LT-CRS we had hopes of future savings so receiving a check back from a provider was both surprising and welcome addition to what we believed possible. Here are the numbers that speak to the great job Limitless Technology did in finding ways to better utilize our technology services. 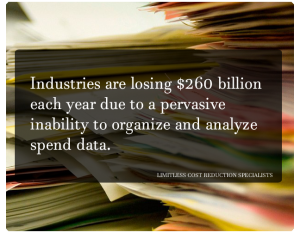 Cascade Health Services highly recommends Limitless Technology – Cost Reduction Specialists as a resource for your telecommunication cost reduction savings.